Which one of the following do you believe you are required to fulfill in order to go to heaven? Please see below for the right answer to this very important question. 1. Can Church Attendance get me to heaven? Christ Himself did not get Judas to heaven. 2. Can Baptism get me to heaven? 3. Can keeping the 10 Commandments get me to heaven? temple at the same time just asking God for mercy. will not allow us to enter heaven either. 4. Can performing good works get me to heaven? give the rich man entrance to heaven. 5. Can going to confession get me to heaven? in God’s forgiveness and will not get us to heaven. 6. Can being a good moral person get me to heaven? the free gift of salvation is the only right answer. 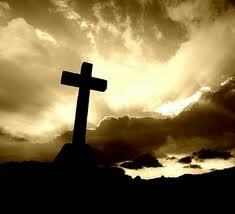 you died for me so I can have eternal life with you.